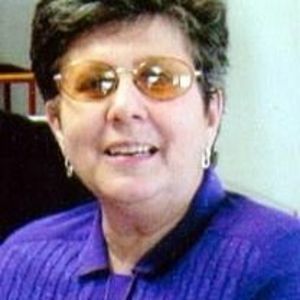 Lynn Cutrell Peele, 69, passed away Wednesday, November 16, 2016 at Roanoke River Nursing and Rehab Center. The funeral service will be held Friday at 11:00 AM at Macedonia Christian Church with Greg Sexton and Dolan Baker officiating; burial will follow at Tice Cemetery. Lynn was born in Beaufort County on July 10, 1947, daughter of Doris Harris and the late Walter Cutrell. She was a member of Macedonia Christian Church. Lynn worked with Reddicks Fumigant for 18 years and was a teacher assistant for 6 to 8 years and dearly loved her children. She had a big heart and cared for special needs people. She was married to Grimes Peele who preceded her in death on September 10, 2011. Survivors are her mother Doris Cutrell of Williamston, step daughters Linda Peele of Bethel, Joann Neal of Plymouth Minnesota, and Susan Harris of Bear Grass, and a special friend Anna Wynne of Williamston.